American consumers have made living on credit something of an art form. Occasionally, however, that means their credit ratings suffer, particularly if they find themselves in a sluggish economy or out of a job. Unfortunately, the same thing happens to small businesses that are in rapid growth mode. When it happens to a consumer, credit repair services can help them; for companies, a business growth consulting agency can provide the same types of services. Here’s how. That’s a technical term for “living within an affordable budget” and a credit repair service can go a long way to ensuring a company only takes on what it can manage in terms of debt while working to reduce its obligations already on the books. Sometimes, just cutting out benefits or perks can do the trick but sometimes extreme measures are needed. In those situations, a business growth consultant can help identify areas that can be cut or modified to achieve desired savings without sacrificing quality or putting the business at a competitive disadvantage. No matter the company, person, organization or group, errors are part of the human existence. With delayed reporting, modified accounts, etc., errors can be made by the various groups that rank businesses and their relative financial stability. A business growth consultation can help coordinate the verification process to ensure that everything assigned to a company in terms of debt and obligations is accurate. Just doing that can reap immense benefits in terms of credit and business rating as well as lines of credit in even just a single error is discovered. This ties in with the living within a budget concept. Vendors expect to be paid on time and not doing so not only hurts credit ratings, but it also can affect the products and services that a business can provide customers. Having a vendor, for example, cut a business off from procuring materials needed to make their products can be devastating and have lasting effects. Part of the process of business growth consulting is identifying obligations that can be pushed off or renegotiated and those that cannot. By managing vendors that way, a business can guarantee it has access to the materials and services it needs without overextending itself financially. Lines of credit, like credit cards, can be tempting, but can also lead to massive debt and a business that’s hobbled once the line of credit is used up. For some businesses, it’s just too easy to rely on the line of credit and if they can get access to more credit, use that up before they realize the hole they are putting themselves in. By using a credit repair service or business growth consultant, a business can get a handle on its line of credit and, more importantly, set up a protocol for using it. In most cases, lines of credit should only be used if there’s no other alternative, and they should be paid off as soon as possible. 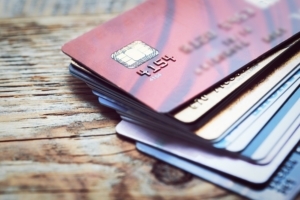 Like consumers, businesses can sometimes fall prey to alluring credit lines and that can lead to being overextended, particularly if the economy goes south. One solution to fixing that problem if it is already the case or avoiding it becoming a problem is to review business consulting firms and hire one that specializes in helping a company growth sensibly within its means. Check out National Business Services to see potential consulting options.